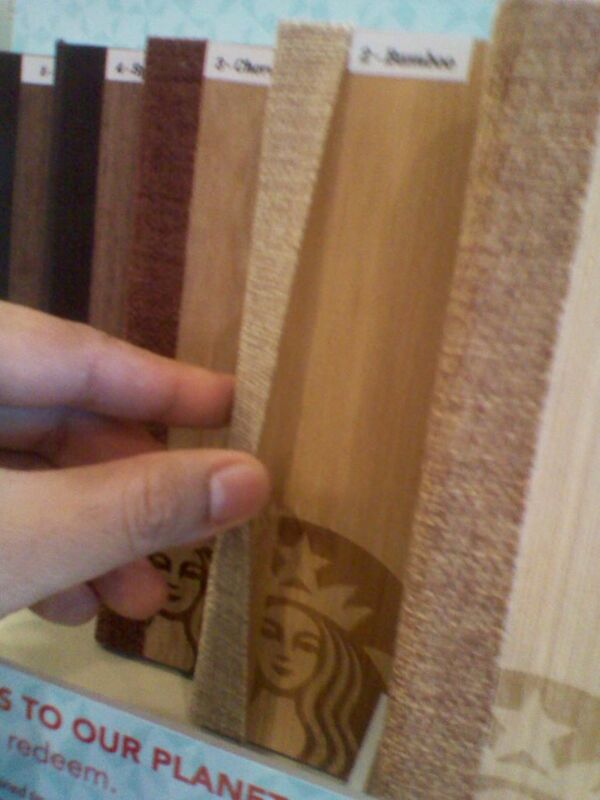 2012 Starbucks Planner 'Insides' Revealed! 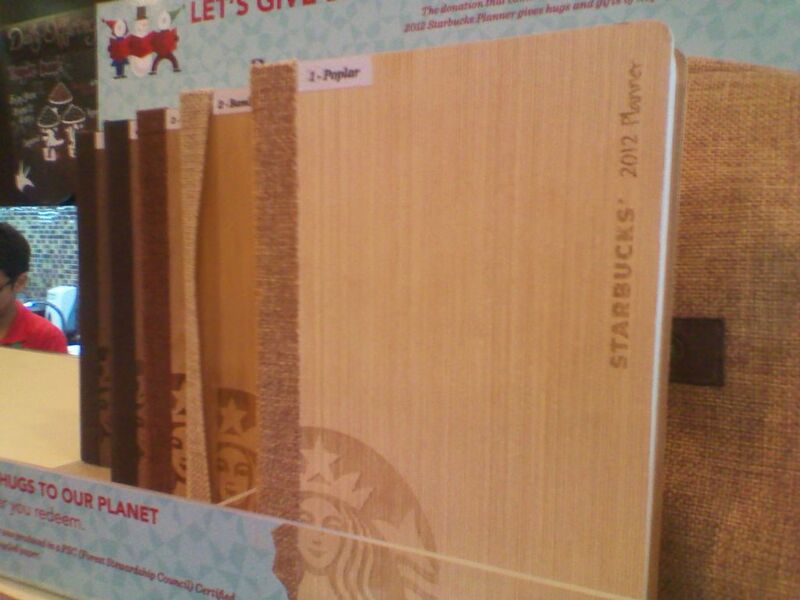 Starbucks unveiled their 2012 Planner on Thursday, November 3 to brand-thirsty followers of the coffee fame. Since 2005, the planner has helped increase brand-acceptance and awareness with its holiday ‘gift’ and this time people are once again noticing. We’re giving you a peek of what this planner looks like from the inside and help you decide if you want to get it or not. The cover is highly attractive (and interesting) with the use of light-wooden material, designed with a logo of Staburcks engraved in it. 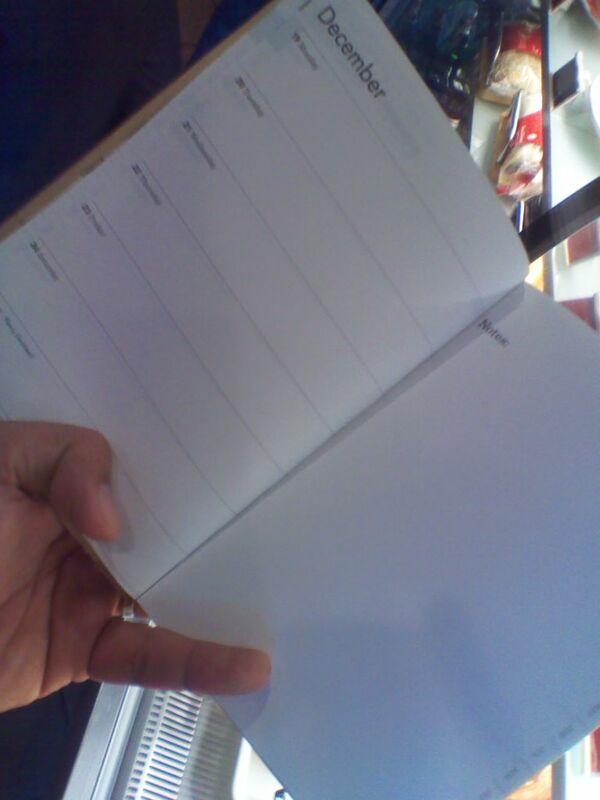 The handy planner is about 9″ x 5″ in size, light, and rough-looking. It’s comes with a sack-like casing, which gives it a “cutesy” packaging – definitely, not attractive for guys who don’t want to get caught with this kind of case. 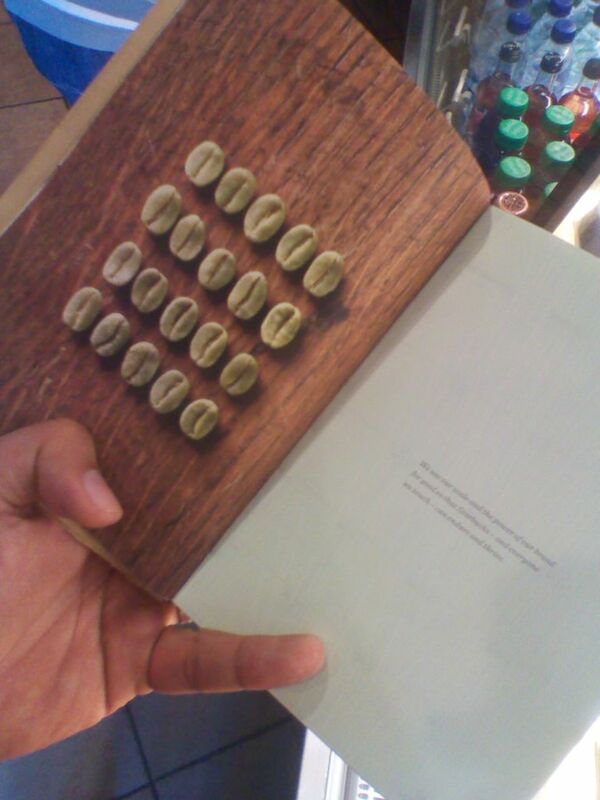 There’s nothing new with the design or quality of the inside pages since the whole idea is out to promote the Starbucks brand – what else? I’m just glad they brought back the simplicity of the pages’ design. 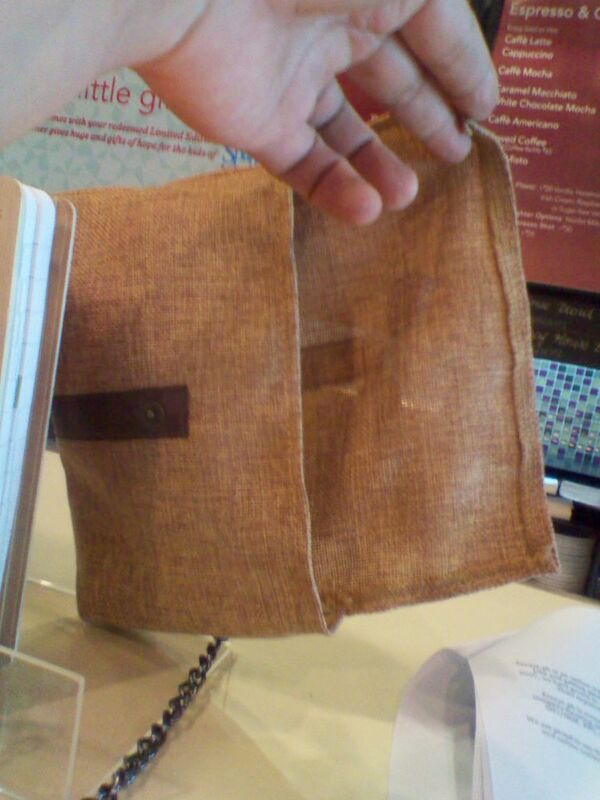 The back cover is also made of wood and it’s made complete with the dark-shade garter that helps close the planners cover, complete with sack-like clothing material wrapped on the notebook’s spine. 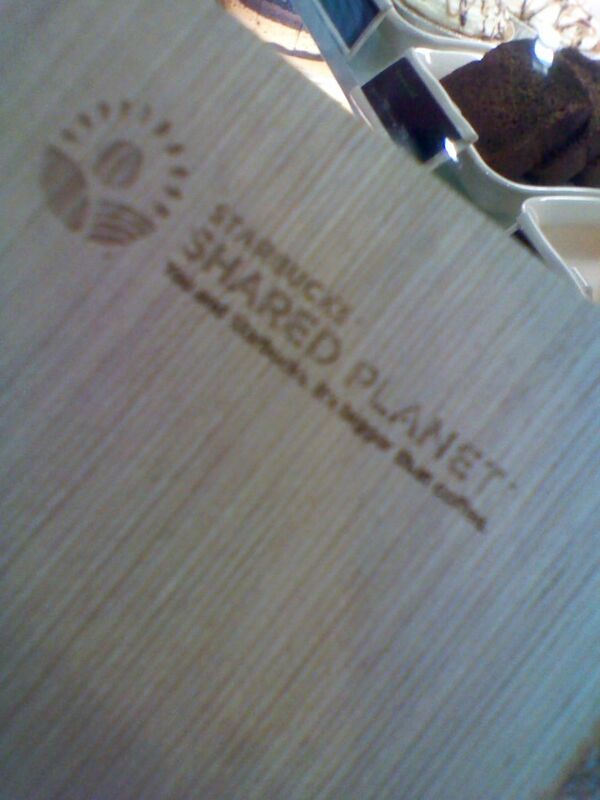 They’re also promoting their enviro-friendly awareness campaign called ‘Shared Planet’. The verdict? 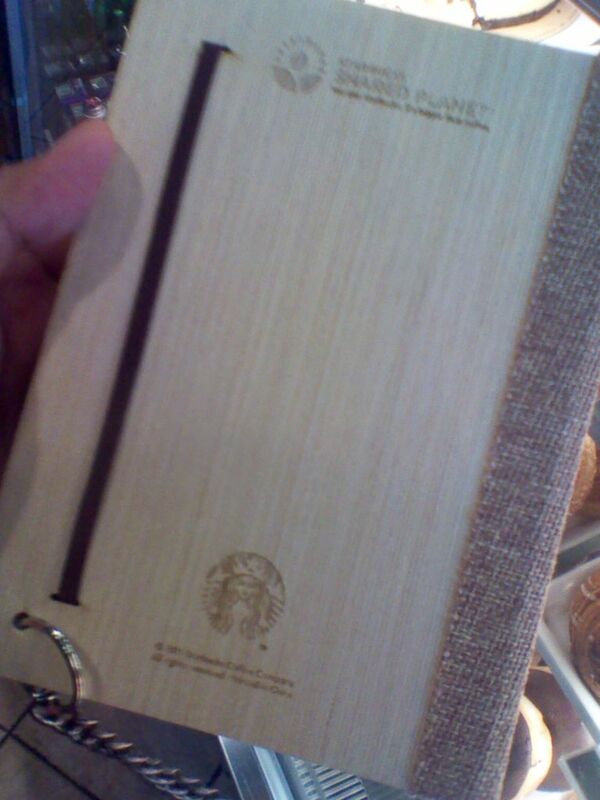 I think Starbucks made this planner mainly for a younger crowd – college students, weekend warriors, and the entry-level working class crowd – those who want to look hip and current. Other types of individuals will get it for its nostalgia. 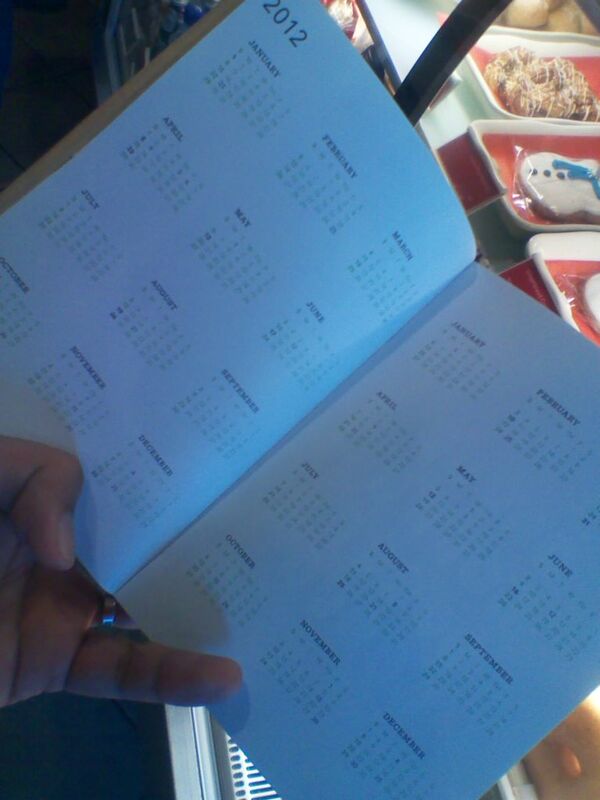 Like me who have thought of this planner’s demise last holiday season after a contrived-looking planner that is nowhere near the class it’s 2005, executive-like looking, black planners, which had the Yuppies in mind. This one is just too out-of-the-ordinary that a lot of the single, hip, and ‘moneyed’ individuals may be looking for. Why? Unless you work for an advertising/marketing firm or department, this will not represent you well in executive meetings. It’s too….cute. A word of caution. Fans should also watch out for the nasty flaw where the spine’s sack-like material appears to be detaching from the wooden cover. Yikes! I don’t know why they didn’t fix that display. Overall, this new planner checks out okay. 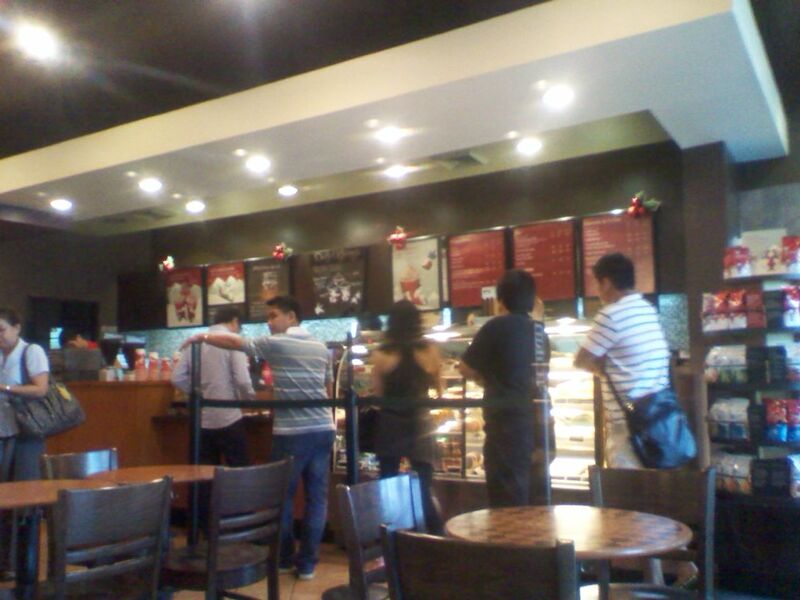 It’s everyone who wants to get a hold of it – fans and critics alike. 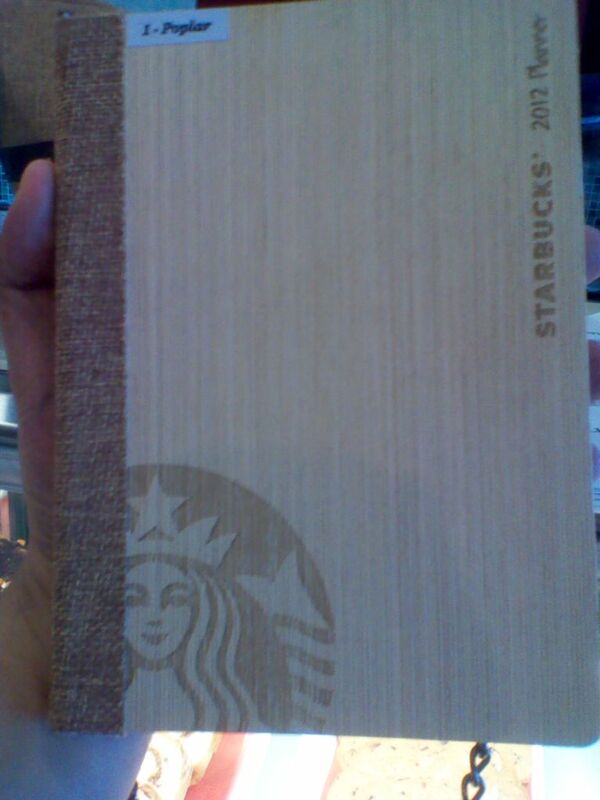 So let’s all welcome the five-variant 2012 planner with open arms and wallets and get to the nearest Starbucks shop before others get the planner you want. Lines are starting to form longer than normal. By the way, I want mine the darkest one in shade.